You use an information system and you are looking for a solution to interface between your apps and your business management software? 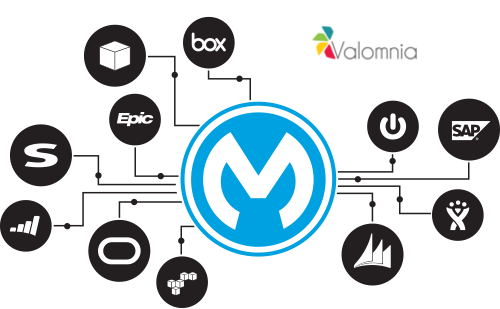 We offer you suitable connectors for your ERP and / or CRM so you can automatically synchronize your delivery, products, inventory and promotional offers on Valomnia Delivery and Valomnia Sales modules with you enterprise data to optimize Sales and Delivery process. Get, Create or Update Data about Products, Prices, Customers, Orders, Invoices, Deliveries, Warehouses Stock, etc, in JSON format. Offer developers and business partners simplified access to back-end services and complex data structure. Use and analyse insights from Sales and Distribution operations. Give developers / integrators an API to use across multiple channels, devices, and user interfaces. 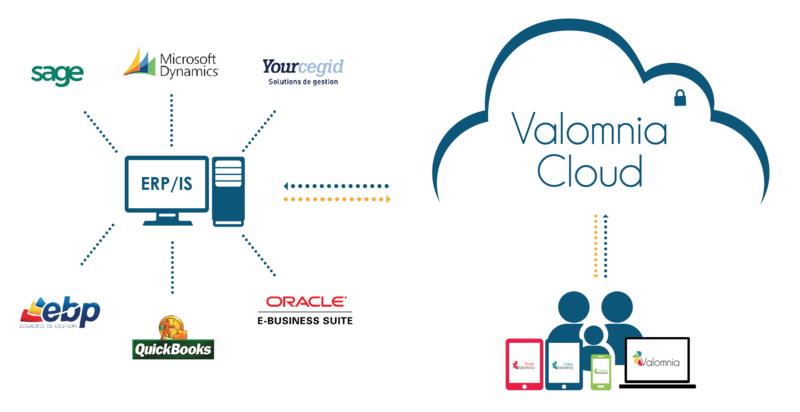 MuleSoft’s Anypoint PlatformTM helps shorten the integration process of Valomnia’s Cloud Mobile solutions with customers’ Information systems and deliver customizable solutions quickly and efficiently. technology, helps companies accelerate digital transformation and modernize their Sales and Distribution through better connectivity and smarter processes enabling them to leverage data collected from several operations. You don’t use an Information System? 2. From your back office upload your CSV file and map the fields easily . If you are unsure of the process, please feel free to contact us. We will guide you through it.